The load bars for the 2014 Renault Trafic are made using the exclusive Syncro Ultrasilent design that guarantees drastic reduction in noise and vibration while on the road – cutting down on gas consumption and making your ride more enjoyable. 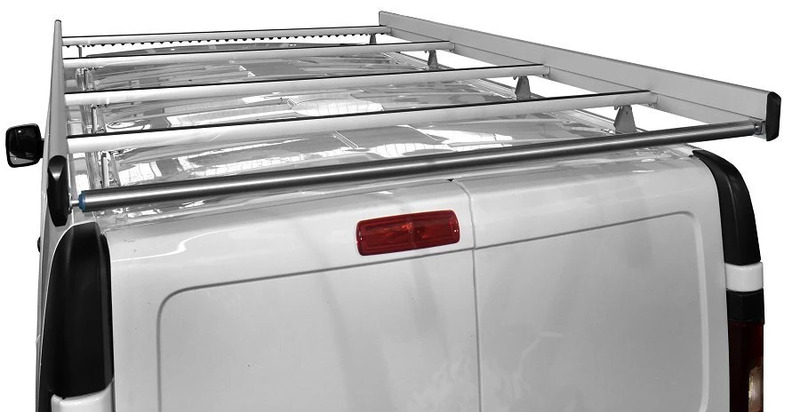 The feet are constructed in stainless steel and are easy to move and remount, making it quick and easy to transfer the roof rack from one van to another. All bars come complete with protective rubber stripping. 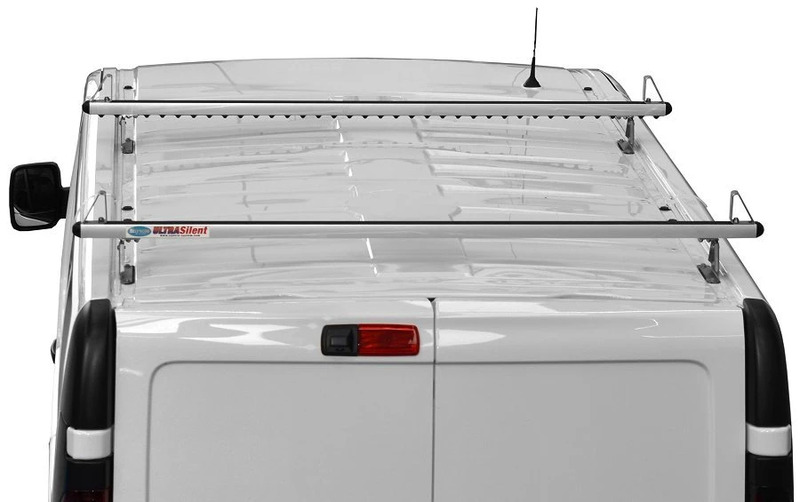 The complete roof rack comes with a stainless steel rear roller, which makes loading easy while protecting the van body. The side rails keep materials and equipment in place, once loaded. 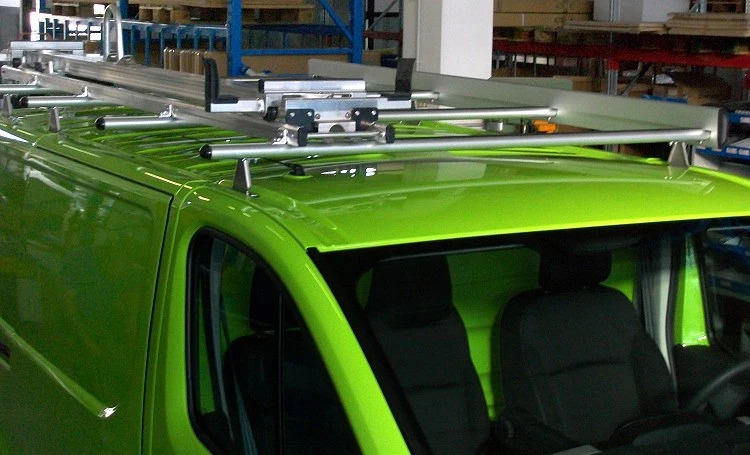 The modularity of the Syncro roof rack system means the Renault Trafic roof rack can be readily customized. You can add or take away cross bars, shorten or lengthen side rails, and mount the ladder racks or tube carriers in any position. The Trafic ladder racks come with a guided system which makes loading even heavy ladders simple, or slides, like the one seen on this page. Steel or aluminum tube carriers can be mounted to the roof racks, load bars or ladder racks. Click for Trafic conversions and Trafic floor panels and protective paneling. Renault Trafic 2014 load bars and roof rack solutions made exclusively with the modular, practical, extremely silent, and patented Supersilent design.